Facilitated by technically advanced process, we are counted as the topmost manufacturer, trader, exporter, importer and supplier of a distinct range of Peanut Sorting Machine. Our adroit professionals help us to manufacture this sorting machine by using premium quality components and advanced technology in line with industry norms. To maintain its quality, this sorting machine is stringently checked on different parameters. 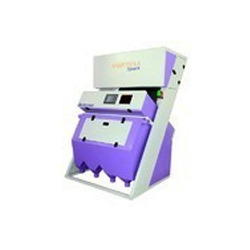 Offered sorting machine is available in variegated sizes and specifications at a budget friendly price. Looking for Peanut Sorting Machine ?